MDAH News Release – A new online resource provides unprecedented amounts of information on the state’s historic sites, from photographs and blueprints to professional reports to digital maps. In addition to basic architectural data, the department’s Historic Resources Database contains images of buildings across Mississippi, plus information such as drawings, newspaper clippings, and other historical documents related to the structures. Users can search by location, style, age, and other categories. MDAH News Release — Longtime Department of Archives and History board member Martis D. Ramage, Jr., died November 28, 2011, at his home in Tupelo after suffering a heart attack. He was 54 years old. 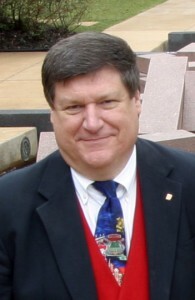 Ramage served on the board of trustees for more than fifteen years and was a founding member of the board of directors of the Foundation for Mississippi History.